This was the first meal I made for Dan 3 years ago. 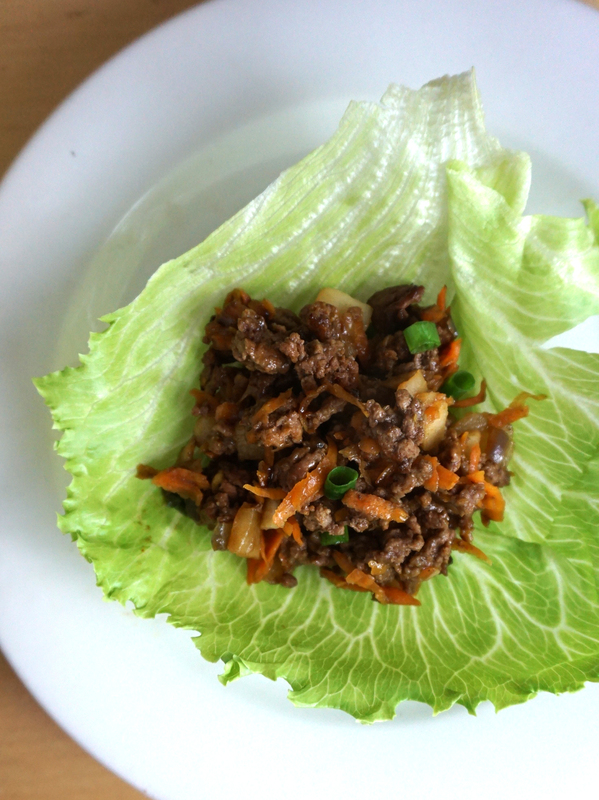 It was a simpler time, back when ‘Netflix and Chill’ simply meant delicious asian lettuce wraps and the latest Avengers movie. I don’t know what I was thinking, as this is more of a “get out the roll of paper towels” than a “look pretty for potential boyfriend” meal. In hindsight, it was probably a good test of Dan’s tolerance. I’m sure he thought the dribble down my face was cute. Riiiight…? At least it was delicious dribble! You can change up this recipe quite a bit depending on what you have at home. 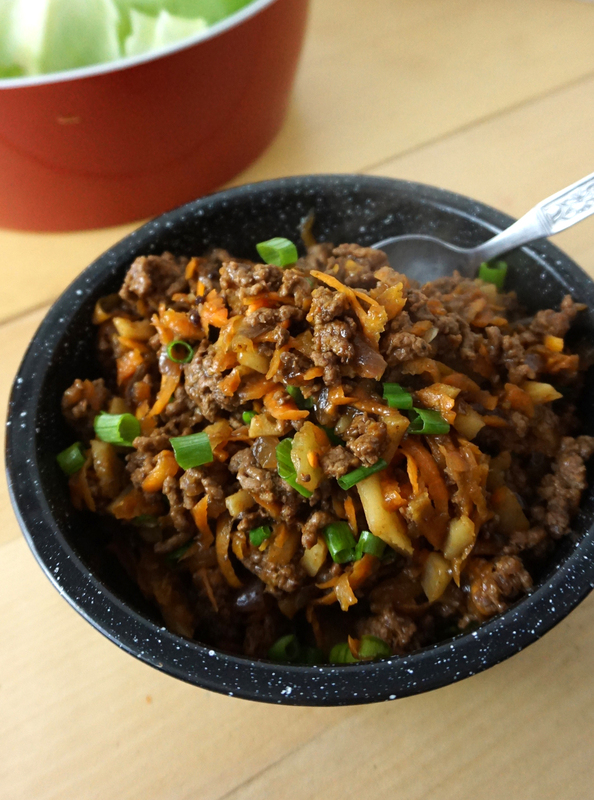 I made this with lean ground beef, but I usually use ground chicken or turkey. The meat ends up pretty saucy, so it doesn’t really matter what the protein is. I also usually add in any random veggies that I need to use up(and it ups my veggie intake!). In this case it was a carrot. Celery and mushrooms work great for this as well. While the carrots add a nice sweetness, they are not a necessary component. Do not run to the store just to pick up a carrot for this recipe! *Here are my thoughts on the lettuce options. 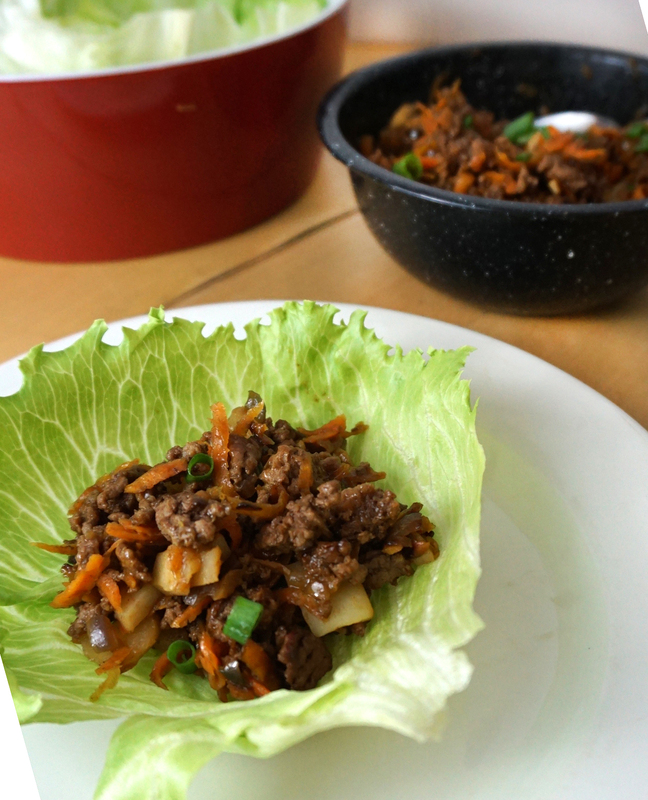 Iceberg is the easiest to find and it adds a satisfying crunch, but the leaves vary greatly in size and I usually end up making mini lettuce wraps with the scraps of lettuce that break off. Yummy, but not pretty. Butter and Bibb lettuces are probably your best option for more uniform sizes of wraps. In a medium skillet on medium heat, warm 1 tablespoon sesame oil. Add the onion, garlic, ginger and ground meat. With a spatula, break it up into small chunks as it cooks. 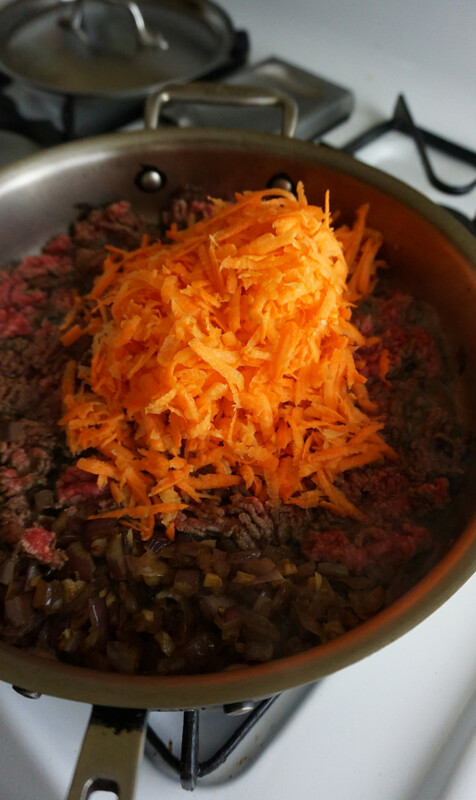 When the meat is nicely browned add the carrots (or whatever veggies you’re using). Cook until the meat is cooked through and the veggies are soft. Stir in the soy sauce, hoisin sauce, rice wine vinegar, and sriracha sauce until completely coated. 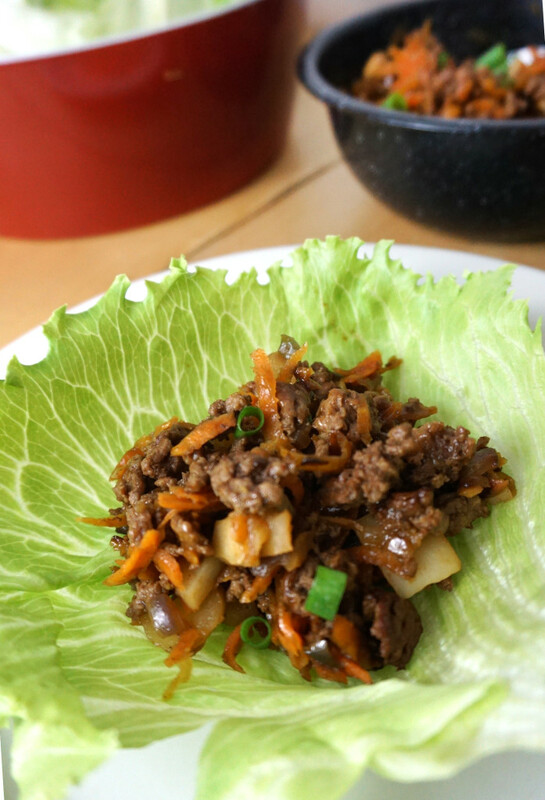 Fold in water chestnuts, green onion, sesame oil, and peanuts, if desired. Salt to taste. Lay out lettuce leaves and put a couple spoonfuls of mixture into the leaf. Note, overfilling = extra dribbles, so try to not overfill.